Home Unlabelled THIS IS THE REASON WHY IT’S TRADITION FOR BRIDES TO WEAR A VEIL ON THEIR WEDDING DAY – FASCINATING! THIS IS THE REASON WHY IT’S TRADITION FOR BRIDES TO WEAR A VEIL ON THEIR WEDDING DAY – FASCINATING! 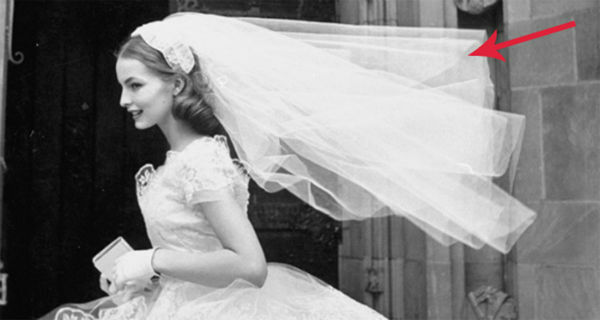 Did you wear a veil on your wedding day? These days, it’s a real fashion choice… Some brides choose a quaint little tiarra, while others go for a full veil. How you choose to dress is 100% up to you. But, did you ever wonder what the REAL reason behind wearing a veil is? As it turns out, there is more than one reason why historically women wore these things… And some of the reasons are pretty odd by modern standards.